This is a very late post. 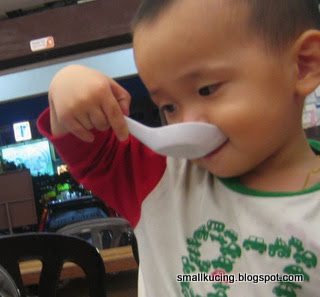 We went cari makan again. 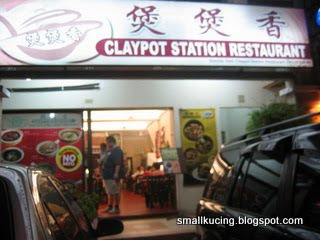 This time at Claypot Station Restaurant, No23-1 Jln PJU 5/12, Dataran Sunway, Kota Damansara. 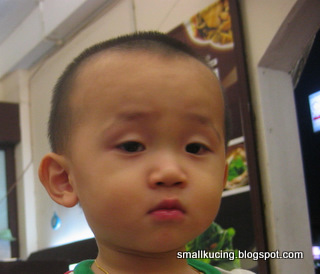 Hmm...their menu got claypot this claypot that. Only don't have claypot noodles. 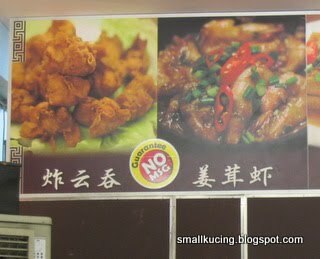 Big big sign GUARANTEE NO MSG. That seems to be a good begining. 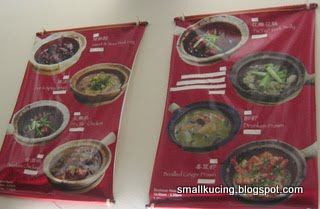 Many banner presenting Claypot food with price blank out. 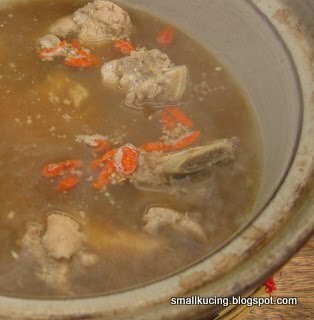 Claypot Herbal Pork Ribs Soup. Uh....the pork ribs are good but the soup is a bit too salty. Garam turun harga ka? Fish Fillet with Mango Sauce.Papa doesn't like this dish coz the fish tak sedap. 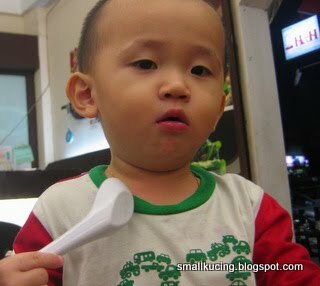 Mamarazzi doesn't like this dish coz the mango sauce taste very artificial. But why order this dish in the first place? Saja nak try mah. 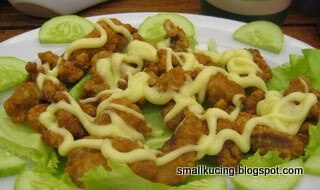 Plain Fried Yau Mak. Don't think they fried. 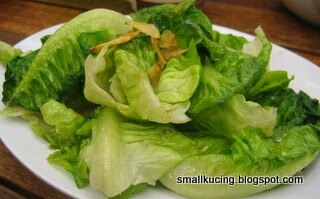 Only put in hot water, take out, add some oil and kicap, then serve. Very healthy since the vitamins are still in the vegetable. Just a bittoo much kicap only. LV: guess different people different taste. 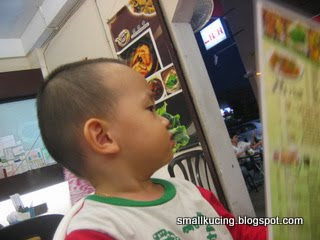 It could be that we didnt know what food to order.